Pioneers in the industry, we offer enhanced surface tubes from India. Unit Length 6m, 12m, 18m, 3m, 20 m Max. Backed by a team of adroit professionals, we are engaged in manufacturing and supplying a wide range of Enhanced Tubes. The offered tubes are manufactured using quality proven raw material and cutting edge technology in line with industry norms. To match the quality standards, these tubes are tested by our quality examiners on different quality parameters. 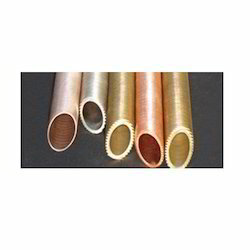 Besides, clients can avail these tubes in different dimensions as per the demands of our clients. Looking for Enhanced Tubes ?